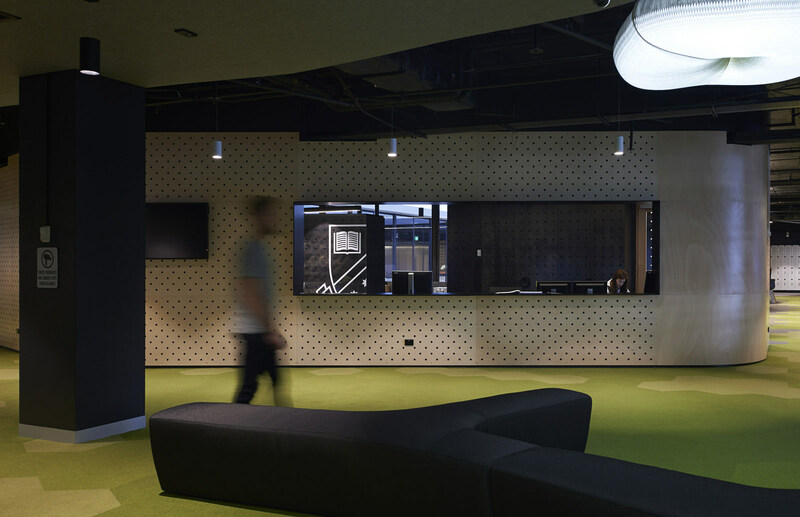 The brief called for a diverse and flexible teaching and learning ‘student-centred’ space that would engender a collegiate community and ‘sticky’ campus. This called for a highly collaborative process with the client. The 3200sqm floor plate spanned a city block and presenting many challenges, relating to structure, services, natural light and wayfinding. 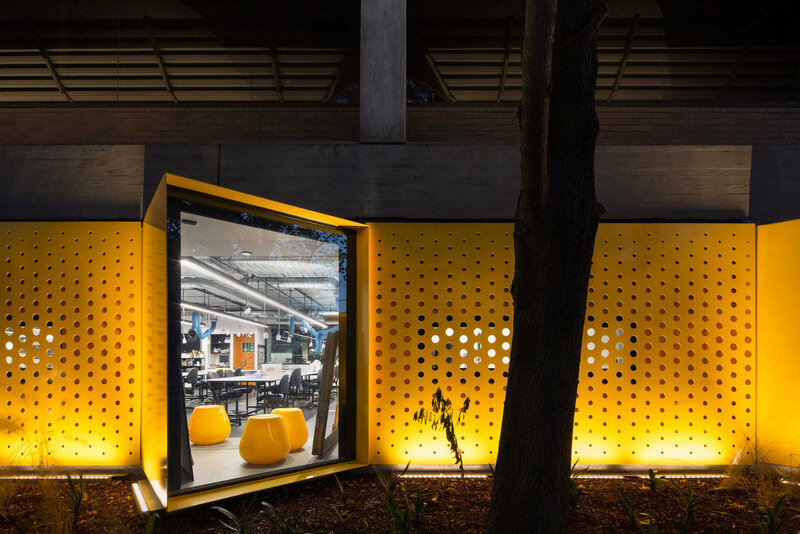 In response an internal urban campus is created, based on the principles of connection, experience, diversity, journey, engagement and choice. A primary pathway forges cross-campus connections that link the entire floorplate. 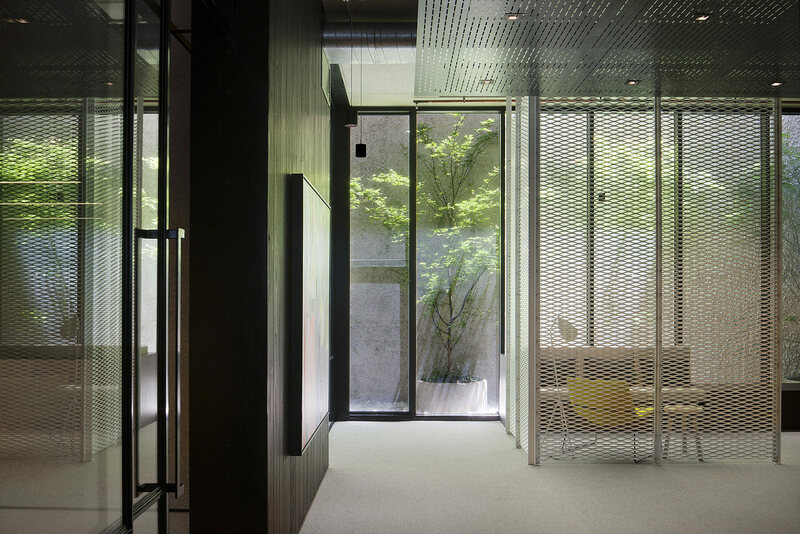 This is punctuated by a series of individual and communal break out spaces, supporting both study and social interaction. 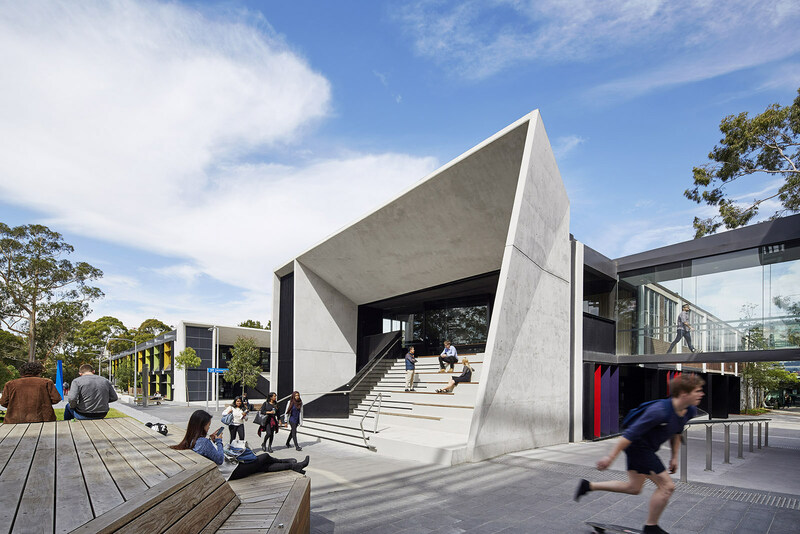 Teaching, library and administrative offices are inserted around the pathway, their sinuous forms responding to the angularity of the base building. This planning strategy allows free-flowing, intuitive circulation, assisted by a number of sightlines through the site. 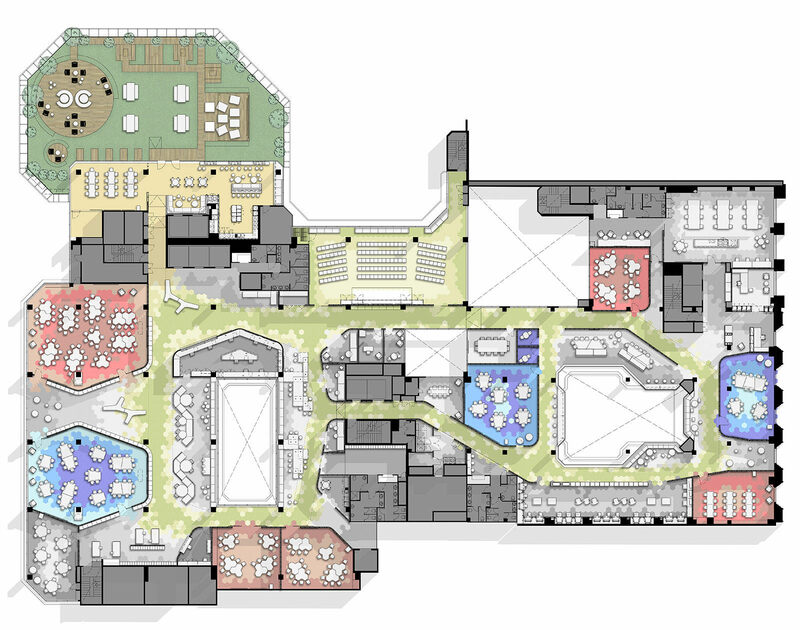 Classrooms are distributed across the floorplate, encouraging movement and interaction. 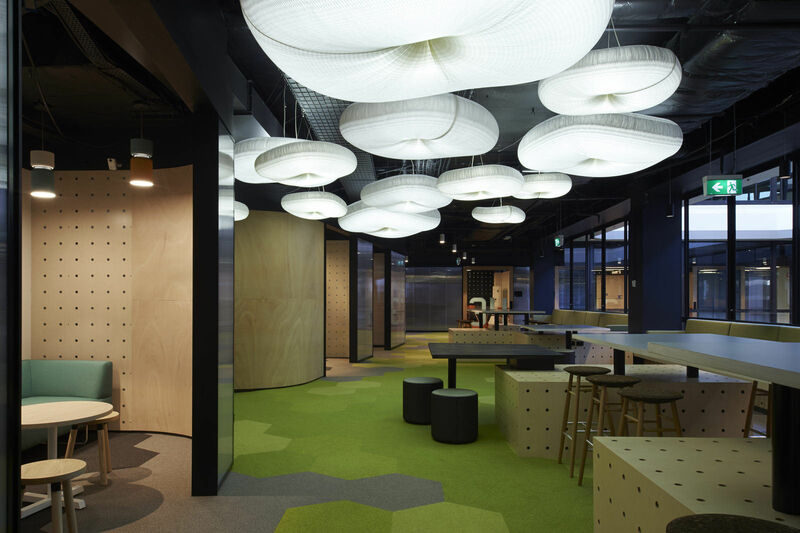 Furnishings and fittings are chosen for durability, warmth and colour, promoting a professional environment that attracts international students.